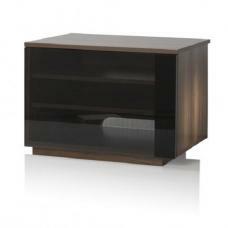 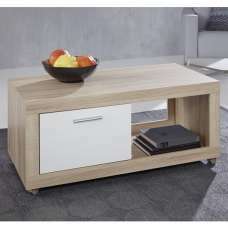 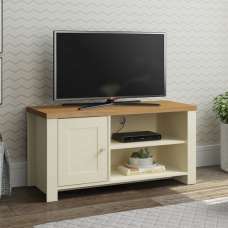 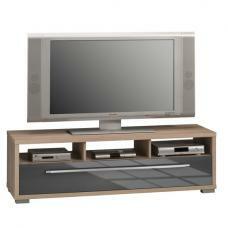 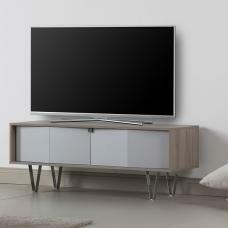 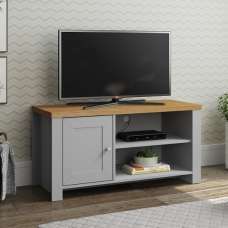 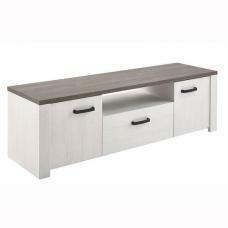 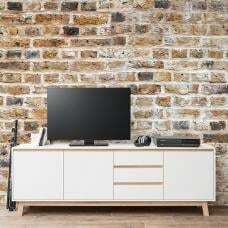 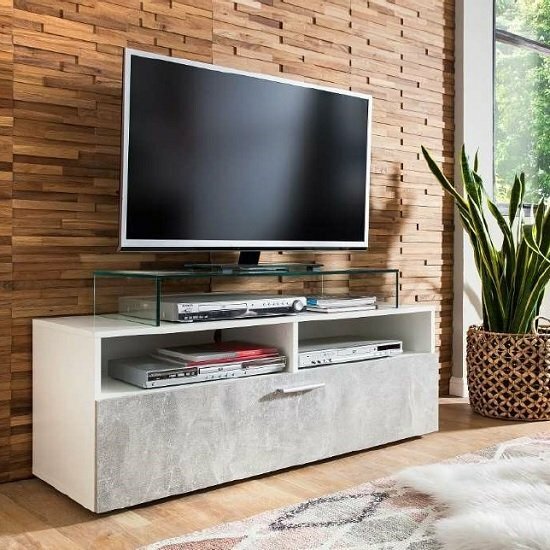 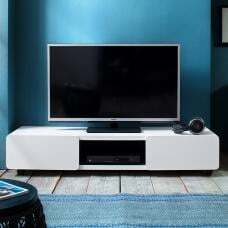 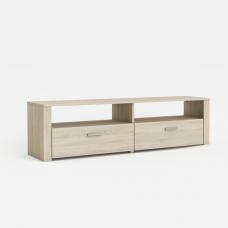 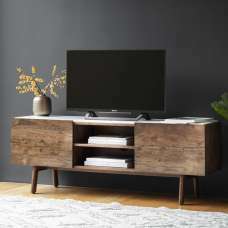 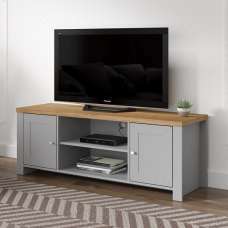 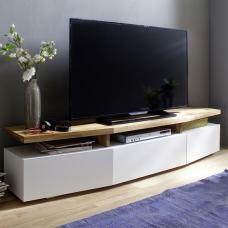 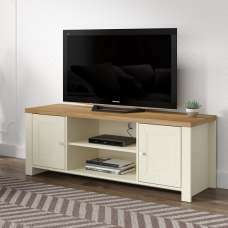 Santana Wooden TV Stand In Stone Grey And White With LED, this stunning TV stand looks great in any modern home decor. 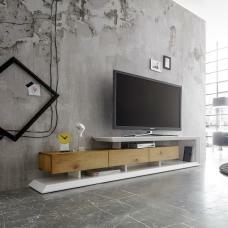 Finished in stone grey and white. 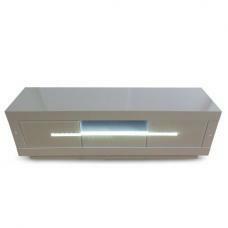 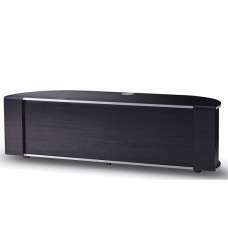 It features rectangular top with open compartments and hidden storage.